This delightful hanging bird house is perfect for wrens and chickadees! Relax and enjoy your backyard with our Amish Poly Wren or Chickadee House that helps to beautify your yard and will bring birds to visit! Put your favorite mixture of seeds, nuts and berries in this charming birdhouse that is made of eco-friendly Poly Lumber. Poly lumber resists mold and mildew and the color will not fade. 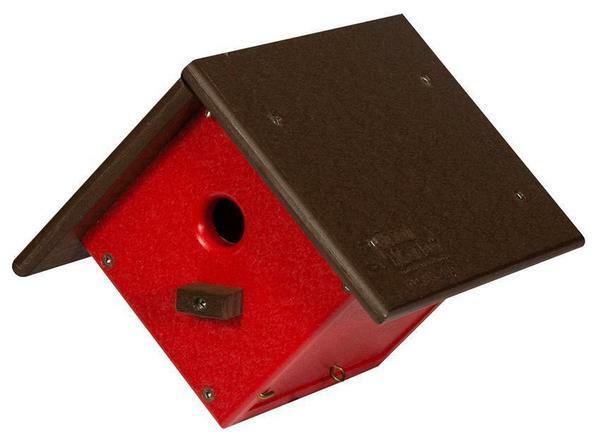 Consider our Squirrel Feeder to keep the squirrels in their house and out of the birdhouse!